I recently finished listening Moonwalking with Einstein, Joshua Foer’s fascinating book about his yearlong quest to become a top “mental athlete”. His journey is really about how our mind’s memory developed and works from an evolutionary and historical perspective. My reference to Gutenberg is of course about his introduction of movable type printing to Europe and how it revolutionized the inexpensive printing of books. Believe it or not, for hundreds of years prior, going back to Ancient Greece, learned people actually memorized tons of things because there was no book and written materials were very rare and confined to far-away libraries. Anecdotes of ancient and medieval people who were able to commit to memory huge amount of written material abound. It was told that an Ancient Greek named Charmadas could recite the contents of any volumes in libraries as if he were reading them. And it wasn’t only about memorizing or recalling books; Seneca the Elder could repeat two thousand names in the order they’d been given to him. Think about that the next time you struggle to remember someone’s name at a cocktail/birthday party. How did they do it? They used memorization techniques such the poetically named “memory palace”. They were so commonly known back then that very few written records of those techniques were found. The mnemonic technique is about associating the things you want to remember (your grocery list) with known locations (the rooms in your house for example). Check out this wikihow article for more details on how to use the technique. Try it! It works amazingly well. In our gross misunderstanding of the function of memory, we thought that memory was operated primarily by rote. In other words, you rammed it in until your head was stuffed with facts. What was not realized is that memory is primarily an imaginative process. In fact, learning, memory, and creativity are the same fundamental process directed with a different focus. 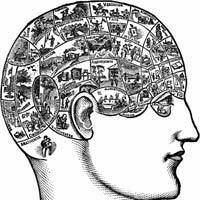 The art and science of memory is about developing the capacity to quickly create images that link disparate ideas. Creativity is the ability to form similar connections between disparate images and to create something new and hurl it into the future so it becomes a poem, or a building, or a dance, or a novel. Creativity is, in a sense, future memory. If the essence of creativity is linking disparate facts and ideas, then the more facility you have making associations, and the more facts and ideas you have at your disposal, the better you’ll be at coming up with new ideas. Also, as Buzan likes to point out, Mnemosyne, the goddess of memory, was the mother of the Muses. Sorry, Jerome, but I have to take exception to your post. In ancient times “a few” people were able to memorize huge amounts of material. Very few in fact. The rest were either (a) busy at farming, at herding, at war or (b) were women who weren’t allowed or (c) were busy being slaves, etc. And why blame Gutenberg? Why not blame the cheeky Egyptians for inventing papyrus? Or why not blame the bloody Babylonians for inventing clay tablets and cuneiform? And don’t get me started on the presumptuous Phoenicians and their damn alphabet! Instead of blaming them I think we should be grateful to all of the above for making it unnecessary to memorize huge amounts of material thus eventually democratizing literacy which has led to some pretty groovy stuff like philosophy, science, literature, freedom, etc. I’m not saying that being to memorize large amounts of material is bad but go easy on Gutenberg. Your Eminence, thank you for blessing me with such historically relevant comment! I’m actually completely in agreement with you. Thank for the long lineage of civilizations and individuals who brought us literacy and media (plural of medium) required for it. When it comes to memorizing, these days it almost seems idiotic to remember things verbatim since everything is just a Google search away. That said, I still think it’s essential to seek out and absorb as many concepts as possible to 1) understand the world around us, 2) improve upon it. It is more like a journey into understanding how the brain (and memory) works and how memory and knowledge were valued throughout the ages, and not so much a self-help book on memorization. Thanks, Jerome. I bookmarked the link because otherwise I’d probably forget. Bookmark it?! It’s so passé. Instead I suggest a tattoo like this one your forehead: http://wp.me/a3eWjk-5u. If the forehead is too much of a commitment for you, I’ll settle for the neck (East-LA style) or your virile chest (WWF-style).